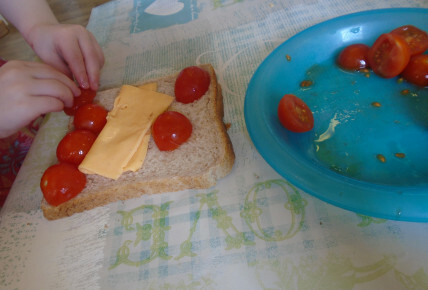 The Little Monkey's have been busy celebrating National Sanwich week. 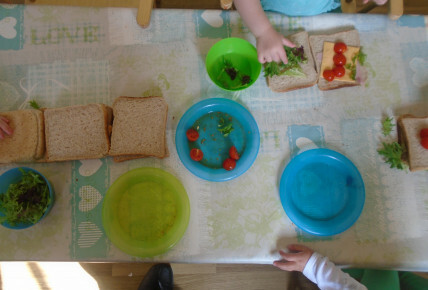 They began the week playing a sandwich making game using special cards and painting pictures of their favourite sandwiches. 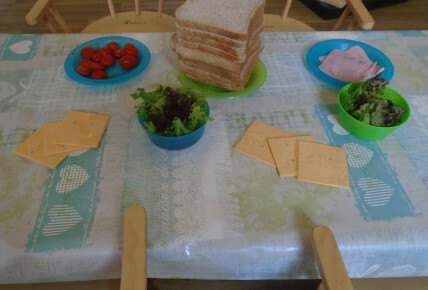 Today they have extended their activity by making their own sandwiches using a variety of fillings. 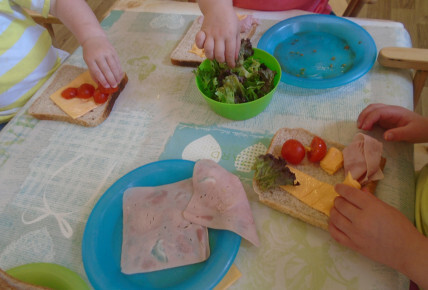 This activity has enabled children to develop their fine motor skills through spreading and placing small pieces of food onto their bread. The activities provided over the week have enabled practitioners to extend children's vocabulary, introduce new discussion points, practice good hygiene in relation to washing hands and develop children's social skills. 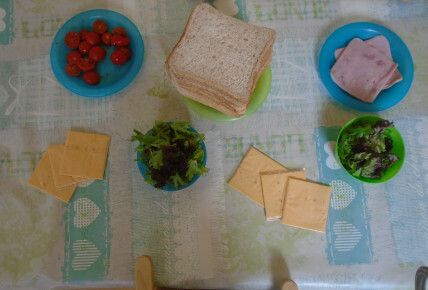 At the end of the session children sat all together and ate their sandwiches...yummy! !